Surf lessons - special offers news and updates. Surf School Goolwa SA 5214. Beginner, intermediate or advanced surf lessons at Goolwa Beach, South Australia. Book private surfing lessons for yourself or as a gift for a friend. Phone 0487 921 232. 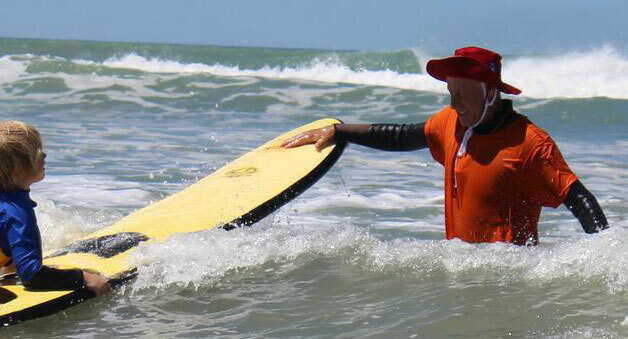 Book Surf Lessons at Goolwa Beach SA Now! Book private or group surfing lessons. Buy a lesson for a friend as a gift! Group surfing lessons. Learn to Surf | Surf School Goolwa SA 5214. Beginner, intermediate or advanced surf lessons at Goolwa Beach, South Australia. Book group surfing lessons for yourself or as a gift for a friend. Phone 0487 921 232. Surf lessons and beach safety for school groups. Learn to Surf | Surf School Goolwa SA 5214. Beginner, intermediate or advanced surf lessons at Goolwa Beach, South Australia. Book surfing lessons for a school group. Phone 0487 921 232. Learn to Surf | Surf School Goolwa SA 5214. Beginner, intermediate or advanced surf lessons at Goolwa Beach, South Australia. Book private surfing lessons for yourself or as a gift for a friend. Phone 0487 921 232. Surf School, surf lessons, beach safety, private and group surfing lessons, Goolwa Beach. Surfing lessons for adults and children. Beginner, intermediate and advanced surfing instruction with certified, qualified surfing teachers. Individual surf lessons Adelaide or surf packages for adults, children and kids. Learn to Surf | Surf School Goolwa SA 5214. Beginner, intermediate or advanced surf lessons at Goolwa Beach, South Australia. Book individual surfing lessons or packages for yourself or as a gift for a friend. Phone 0487 921 232.